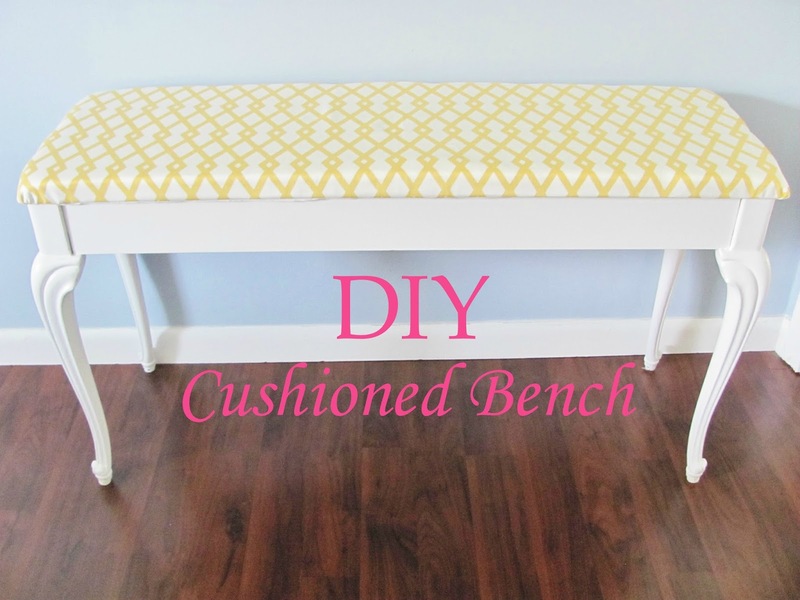 It's a Pink Life: DIY Cushioned Bench! I actually did this project back in April of last year and I'm just now getting around to blogging about it. 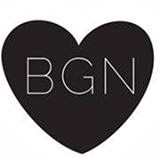 Every month, I'm like "This is the month I'm going to write about it", and it just doesn't happen. Well better late then never! It took me a couple months scouring Offer Up and Craigslist to find the right kind of bench at the right price to turn into a new bench for my foyer. I love that I found one with character. This bench is actually a 65 year old organ bench and I bought it for $25. 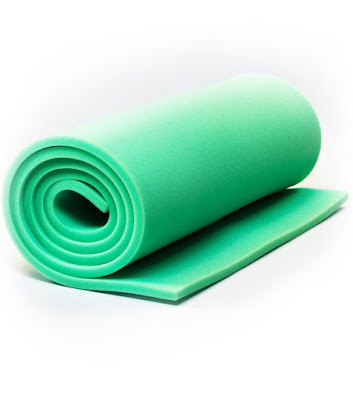 * Heavy duty foam slab (I found mine at Joann's Fabrics and I went with a thinner one. You can get one depending on how thick you want the cushion. * Upholstery fabric of your choice. 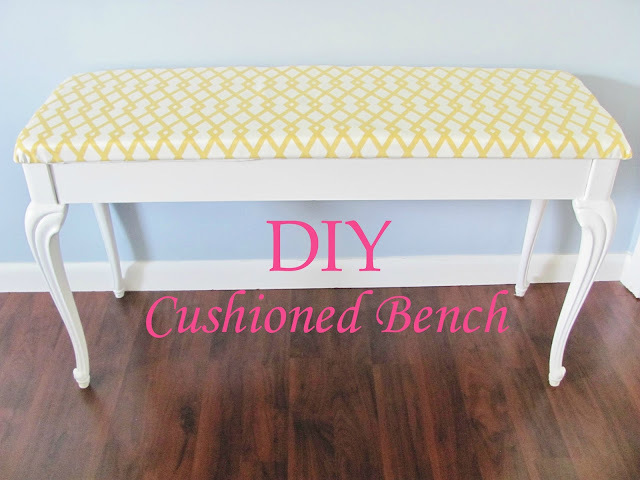 Make sure you go in with the measurements of your bench and add on at least 8-10 inches on the length and width because it has to go over the foam and bench. * Paint of your choice. I went with a basic white indoor latex paint. 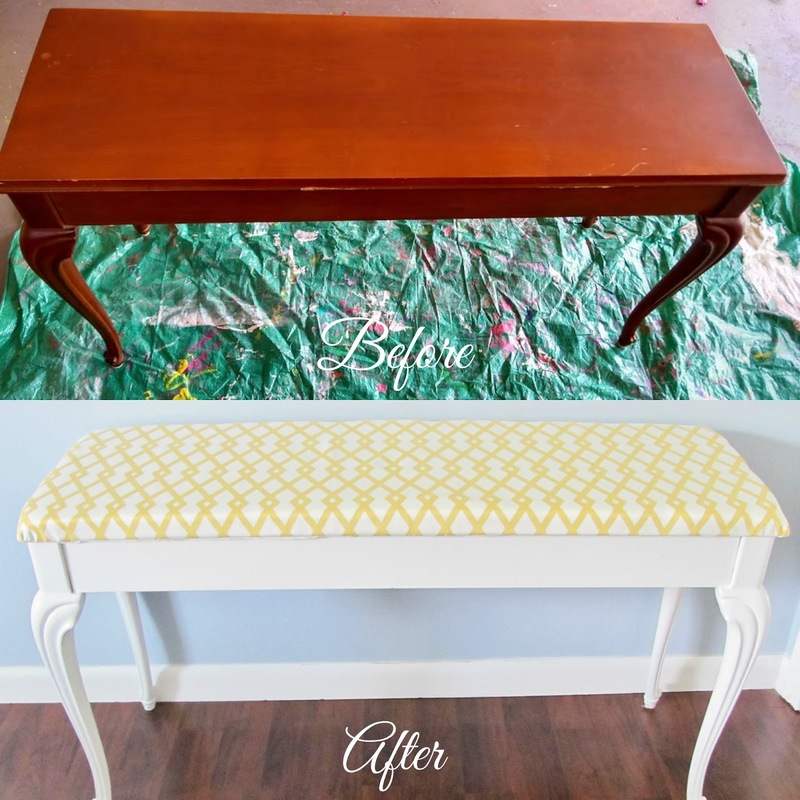 Paint the portion of bench under seat and the legs, or you can do it after you take the seat off. It took 2 coats to fully cover the brown. 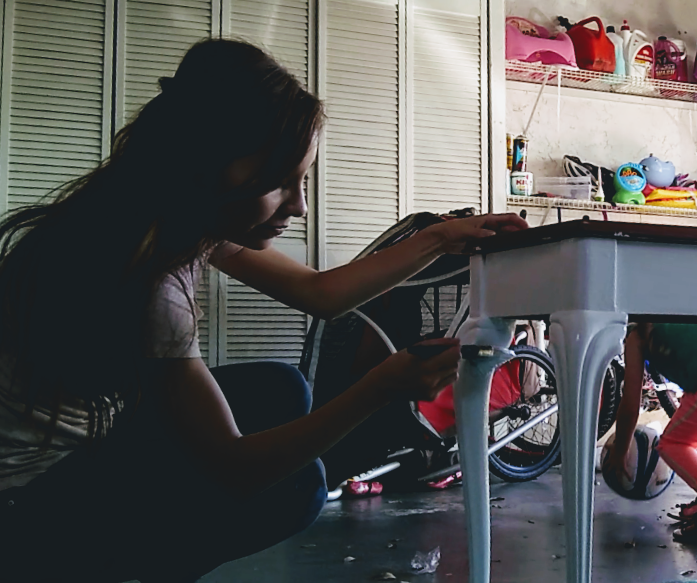 Because this is the type of bench with a storage and the seat goes up, I needed to take the top off completely. I suppose you don't have too, but it really makes it so much easier and you don't have to cut the fabric to fit around any back brackets. Lay the seat flat on ground and position foam on top. Cut an excess off. Lay fabric over foam and seat. Tightly pull one side of corners and staple underneath. Now that you have it in place, it will be easier getting the rest of the fabric nice and taut on the backside. Staple as many times as you feel you need too to make it secure. Put seat back on rest of bench, secure in place. That was a given, but I thought I'd point it out anyways, just so you can make sure you weren't missing any steps. Haha! I hope that was a little helpful. I hate that I lost so many photos, but luckily the next project I plan on sharing I have all the pictures for that one. Have a great Wednesday. Halfway through the week!